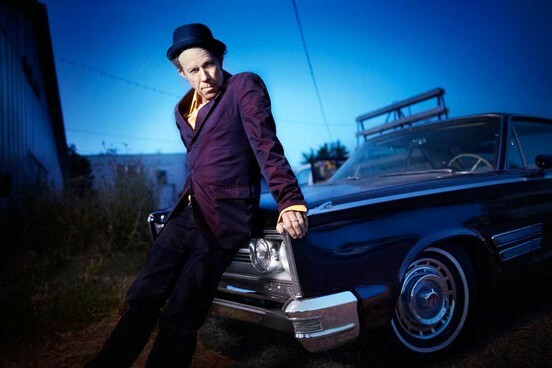 BBC documentary on Tom Waits airs this Sunday, 2/19 @ 21:00. Featuring interviews with Terry Gilliam, Ute Lempur, Lucinda Williams and many others, "this film is a bewitching after-hours trip through the surreal, moonlit world of Waits' music - a portrait of a pioneering musician and his unique, alternative American songbook." Cracked Jukebox features the rare live action footage from "Tom Waits For No One", and includes a soiree with the rotoscoped music video as well. The three television series "The Bridge," "American Crime" and "Shameless" and the music video "Tom Waits for No One" stands on the favorite list of Panel 2. "Preceding Ralph Bakshi’s “American Pop” and Richard Linklater’s “Waking Life”, this seldom-seen curio reemerged with the advent of the internet. And thankfully so-it’s 6 minutes of visual and musical joy. A hybrid between an animated short and a music video, it features Tom captured and re-imagined with an aid of exciting new technology." For the full article, see: The Cinematic Appearances of Tom Waits and his Music. Lovely write up on AWN.com! Art Opening in Volda, Norway! The Animation Volda 10th Anniversary festival in Volda, Norway will feature "Tom Waits For No One" and the music videos "Take On Me" (A-ha) and "Sledgehammer" (Peter Gabriel) on September 22-25, 2016! Cels, rotoscope drawings, limited edition books and the original Tom Waits For No One Illustrated Scrapbook will be on display with a gallery opening hosted by Gunnar Strøm, the leading expert on animated music video. ... with John Lamb making a special guest book signing event. All you Stray Dogs and Rain Dogs who helped bring the The Illustrated Scrapbook to life, you'd be a welcome sight in this northern clime! TWFNO: The Illustrated Scrapbook will be at the Los Angeles Festival of Books, April 9-10 on the USC Campus. Stop by booth 012 - we would love to see you there! Book release party was a blast! John read to a packed house on November 14. Thanks to everyone who turned out! Special thanks to Jeremy Farrance, Garrett Lamb, Zach Cordner, Aaron Schmidt, Dwayne Carter (from Transition Visual Agency), Rex Lamb, Ryan Lamb and Dorene LaLonde for your support all the way through the Kickstarter and the book release. A special shout out to the bands that played - The Barnwell Shift and The Art Dealers - for bringing your musical talent and a ton of great music to the night. Here's to JJ at Legacy Brewing for hosting the event! Lovely lines by Rod Dryden, Keith Newton and David Silverman. Tom Waits For No One has just reached 1,000,000 views on YouTube! What a milestone for this film that took 8 years to reach 600,000 views - and has notched 400,000 views since 2013. Wow! It's official folks, the book signing party jumpstarts the public release of Tom Waits For No One: The Illustrated Scrapbook, Saturday, November 14. We invite you come join us, it's going to be one heck of a ride! The process of finalizing the book has been a labor of love - but it has tested our endurance and tested our mettle. The story has been tuned, re-tuned, dialed-in, polished and now has a tremendous shine. With a hoot and swig of Jameson's Irish Whiskey, the final draft was sent to the publisher tonight. The book required all our attention in July, August and September. Fitting it in, we also test printed the dust jacket, tested the packing of the rotoscope drawings and the books, and ordered the shipping materials. It's been a gargantuan three months! For all your patience, here's a early look at two pages from the book. Hold tight - shipping will commence in October. The first draft of the book, text, images and formatting is complete - it's taken hours and weeks and with some final formatting and clean-up remaining, we'll be getting the first test prints in September. We remain on target to have the book published in October. The Scrapbook includes newspaper articles, concert ticket stubs, drawings by the animators... stuff that will take you back to 1979, while also providing a view of the young animators' frame of mind during the production of Tom Waits For No One. The first edition printing of 250 hardcover books will be signed, numbered and will include a gorgeous dust jacket. October will be here soon...! August update ... full steam ahead! Wow - progress, progress. So where to start...?!? The effort to recover the live action footage from TWFNO is completed. John Lamb and camera man, Garrett Lamb, made the looong trek from Los Angeles, California to Boston, Massachusetts via red-eye to the only person known who 1) has a working Lyon Lamb VAS on premise, and 2) has the masterful skill set needed to pull the remaining images off 35 year-old film. The recovery process itself turned out to be an epic feat. The film was infested with mold and the cleaning process entailed over 36 hours of manual effort with custom chemical treatment specially designed by the recovery master himself, John Fede. John Fede of Audio Video Recovery Services, with John Lamb, in Natick, MA. According to Fede, recovering film is a soon-to-be lost art. When pressed, John admitted he is the youngest guy at his company and he has no proteges. John preps and repairs all his equipment; the mold removal process and chemical mixtures were created by John and his mentors - there is no manual to read, and no school to teach what they have learned over decades. We were so fortunate to get the TWFNO tapes into his facility, it's hard to overstate. One of the originals. Time to roll the tape...! Viewing TWFNO live action footage for the first time in decades. There's still much more work to do on prepping the footage to share with the Kickstarter backers. All the footage wasn't this clear, but John's excited about what he's seen so far, and we look forward to sharing it once we have the book is completed. So what about the book? The first draft was just completed and is being uploaded (right now) for the editing team to review. After first draft editing is completed, we anticipate additional review and edits with a test print in August. Based on that timeline, we're realistically looking at sending out for final printing in September. For those who ordered the bundles, we expect to ship in late September or early October! Holy cow, time flies. June's done, now it's time to ship...! The postcard sets have arrived and they are a knock-out! Each color image is on 5" x 7" cardstock with a matte finish, featuring the cover of the scrapbook itself, one insert of the original storyboard image by John Lamb and photos from the film shoot at the old La Brea Stage. Four beautiful Tom Waits character study drawings by Keith Newton complete the postcard set - making this limited edition printing not only rare, but truly worth framing. However, if you have a friend in mind, the postcards are addressable and the back features a rotoscoped Waits, with text to set the card's context in place and time. Backers who ordered the postcards only will see them ship in July. The tees required a ten color process to render the image as close to the original as possible - and it turned out beautifully. Shirts will also ship in July for those who ordered shirts only. For those who ordered the book, the rotoscope drawing or a bundle, the first test print of the book has been received and we love what we see...so John's hot onto the next draft. The rotoscope drawings are being handpicked and will be shipped in early August. When the book is completed, the bundled rewards (book, rotoscope drawing, t-shirt, postcards, etc.) will be shipped, most likely in September. Hold tight, there's more to come! 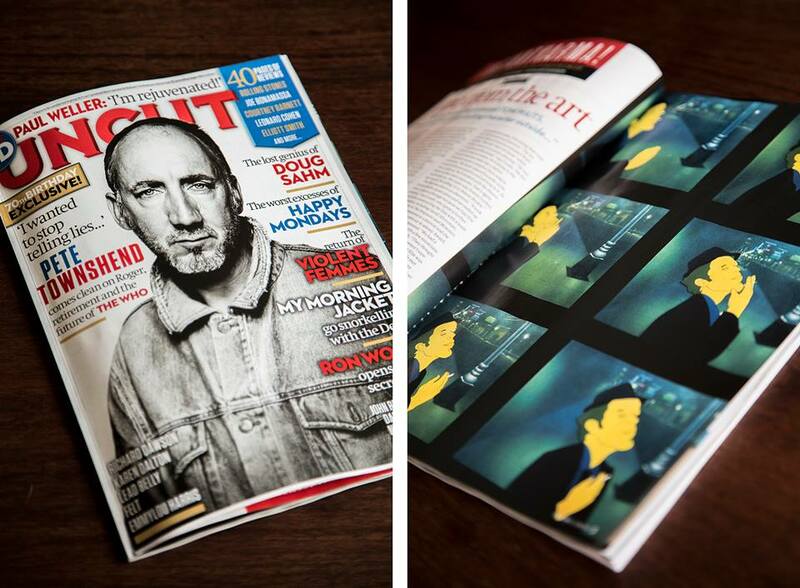 The June 2015 issue of Uncut Magazine features Tom Waits For No One in a two-page spread titled "One from the art" - love it! An exhibition of Scott Smith's early Tom Waits photographs opens this Friday at Mr Musichead Gallery, Los Angeles. To our Kickstarter family - thank you. Thank you to everyone who supported the successful Kickstarter campaign - we can't wait to get the book completed!